In today’s fast-paced digital marketplace, business intelligence generates a lot of information. 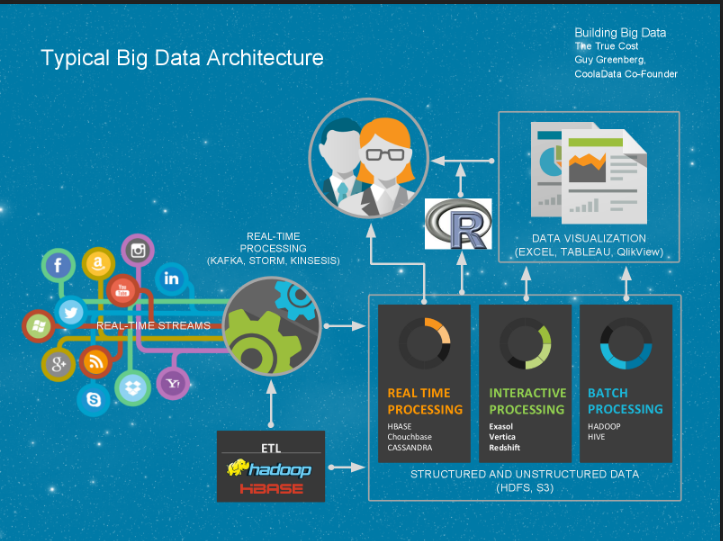 Most of this raw data comes from real-time analytics tools. Yet to be truly useful to a business intelligence team, all information needs to be collected and unified. More often than not, a data warehouse solution is the perfect fit. It puts all of your heterogeneous data into one place, automatically archives all of your data, and makes your information easy to access and analyze by your team. And yet, a “data warehouse” often raises more questions than it answers. What’s the difference between a data warehouse and a database? What resources do we need to build one in-house? What about if we build it off-site? How much will all of this cost? Then, we will evaluate different costs associated with maintaining and expanding a data warehouse. At the end of this article, the long road ahead should be a bit more traversable. The thought of consolidating so much data into a single stream of data may seem like a nightmare. Yet it really isn’t so scary if you know the requirements and costs associated with building or buying this solution. Before discussing the costs and investments of a project this large, we should take a moment to define some terms. There’s an important distinction exists between a data warehouse and a database. Regular databases usually store information in a way that facilitates their retrieval for one type of service or a certain kind of data. In other words, databases are great for a specific business process, but are under-optimized for analytical queries. Enter in the data warehouse, which combines many different sources of information (possibly from many databases) into a format that is suitable for analytical use. Ideally, a data warehouse should automatically refresh its contents in order to keep up with the intelligence and live data sources that feed it information. 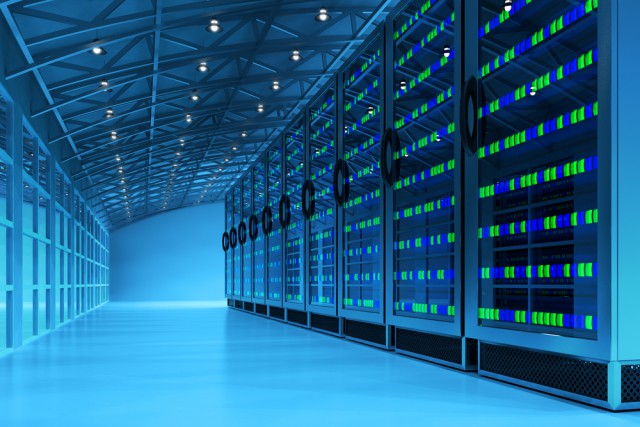 Storage: your data warehouse will need servers that are either cloud-based or on-premise. Software: your data warehouse will need software that pulls data from your live-streaming services and unifies them on the servers. Human Resources: your data warehouse will need routine upkeep as well as data analysts who will use the data to garner actionable insights. First, let’s take an in-depth look at the storage costs and requirements of a full-fledged data warehouse. So what requirements should your data warehouse have? It has to be fast: data warehouses need to be able to manage multiple users and lots of server requests simultaneously, so the faster your write and read speeds, the better. Data warehouses also have to be scalable. A good big data platform needs to be able to handle over a billion events easily, ideally without losing access to individual events. Finally, a good data warehouse needs to store months of your analytics at a time. A permanent history option would be a perfect fit for most business intelligence solutions, though that option may be too cost-prohibitive for smaller businesses. The first decision you will have to make is whether you want to store your data warehouse on in-house servers or in the cloud. If you already have a scalable server solution built for your business, this part is more manageable because you can expand some of your storage to fit a data warehouse. Let’s assume, however, you are starting completely from scratch. Storing your data warehouse using cloud-based storage may be a viable option for businesses seeking a faster and more-easily scalable data warehouse storage solution that doesn’t require any up-front hardware expenditures. There are three types of cloud-based storage you should be aware of: cold, warm, and hot storage. 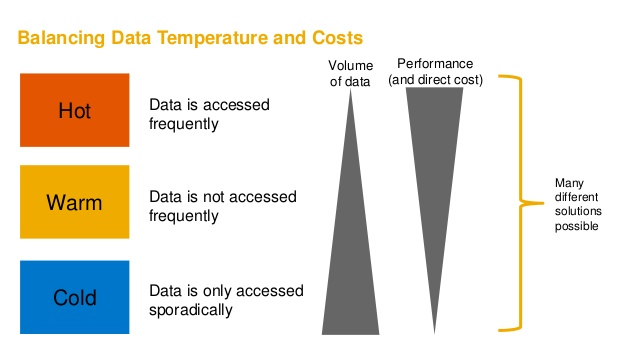 The basic idea is that the “temperature” of your data determines how often that data is accessed. Since your data warehouse will be feeding into your analytics, you will need “hot” storage — the fastest and the most accessible cloud-based storage available — in order to have a functional data warehouse. Most analytical storage solutions also charge an extra fee for accessing the data stored on their servers. Each query and event will cost you: BigQuery charges an extra five cents per gigabyte, while Azure charges five cents for every 10,000 rows of data that it has to process. While BigQuery or Azure are cheaper for storage than Redshift, using your data will cost extensively will most likely end up costing extra in the long run. Below is a price breakdown for three of the top “hot” storage solutions currently available on the market. Amazon Redshift. Amazon’s hot storage solution costs 0.08$ per gigabyte (GB). If that sounds low, it isn’t: Amazon’s solution is the priciest of the bunch. Luckily, Redshift offers this solution at a flat cost, meaning that the prices won’t go up or down depending on your data use. Still, expect to be paying over $1000 per terabyte (TB) per year if you’re looking to use Amazon. Google BigQuery. Google’s storage solution costs 0.02$ per GB. Don’t let that low price fool you: this is a variable cost. Google also charges an additional price for accessing this data — you will be paying an extra $0.05 for every 100GB that the service accesses for you. If you’re running a data warehouse that is accessed often by your analytics team, then the prices can really start to add up. Expect to be spending around $720+ per TB per year if you’re using BigQuery. Microsoft Azure. Azure does pricing in blobs, which is a fun way of saying that prices go up the more data that you store on Azure’s servers. So for the first 50 TB per month, you will be paying 0.0184$ per GB, after that, the prices go up. Again, if that seems low, it isn’t — Azure charges “access prices”: in their case, this means that every 10,000 write operations will cost an extra 0.05$. If we think in terabytes, then Azure will likely cost $700+ per TB per year. “Storage costs for an in-house data warehouse can be $12K per month.”Total cost for storage: in today’s marketplace, every additional terabyte of data will cost you upwards of $1000 per year in storage and access costs. 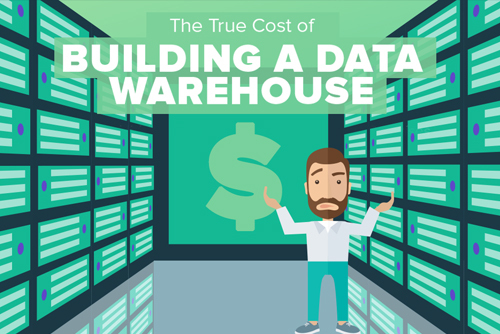 If we had to make a conservative estimate of total costs, then a mid-sized data warehouse would use about $12,000 per year in storage alone. The trouble with cloud storage is the sheer unpredictability of the pricing. Since most solutions use access pricing, certain months of heavy analytics can make the bill significantly heftier than usual. For instance, loading data, allocating instances, and creating clusters will all incur access prices. Streaming and querying the data for visualization events will also pad your bill at the end of each month, so keep that in mind when selecting the right solution for your company. Another issue is the constantly inflating prices. Most data warehouse solutions can easily burn through one terabyte of data per month, which they will have to archive alongside last month’s data. 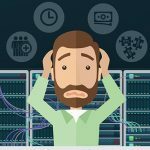 While using cloud service may eschew initial build costs, the unpredictability of the pricing models and their constant fluctuations means that you will never be sure what your per annum data warehouse costs will be, especially if your data warehouse storage grows heavily during that time. Most software with this functionality is called ETL software, ETL being short for Extract, Transform, and Load. While ETL can be done through certain open-source solutions like Apache Hadoop and Talend, let’s take a look at software options that use ETL to incorporate popular database types and SaaS platforms into your data warehouse. FlyData. FlyData is a fully-featured solution that syncs your databases with your Amazon Redshift storage. 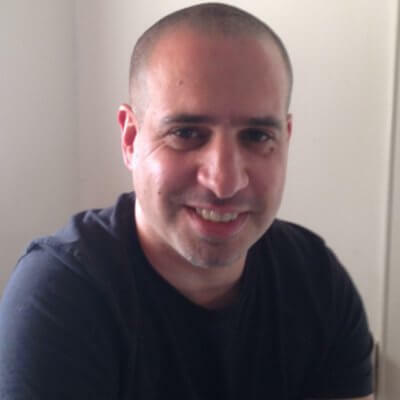 The service supports VPN tunneling and error handling, as well as multiple database formats: MySQL, CSV, TSV, JSON, and PostGRESQL, among others. FlyData does not provide any visualization solutions, so it may have to be used in parallel with services that do provide that functionality, such as Chartio or Tableau. Pricing is variable, and ranges anywhere between $200 and $2000 per month. RJMetrics. RJMetrics is similar in functionality to FlyData, but offers more robust support for SaaS products such as Salesforce, Shopify, and Google Ecommerce. Otherwise, it supports many of the same databases as FlyData, with the exception of also supporting MongoDB, Microsoft SQL Server, and Heroku. Pricing is virtually the same as Flydata: between $500 and $2000 per month. Fivetran. 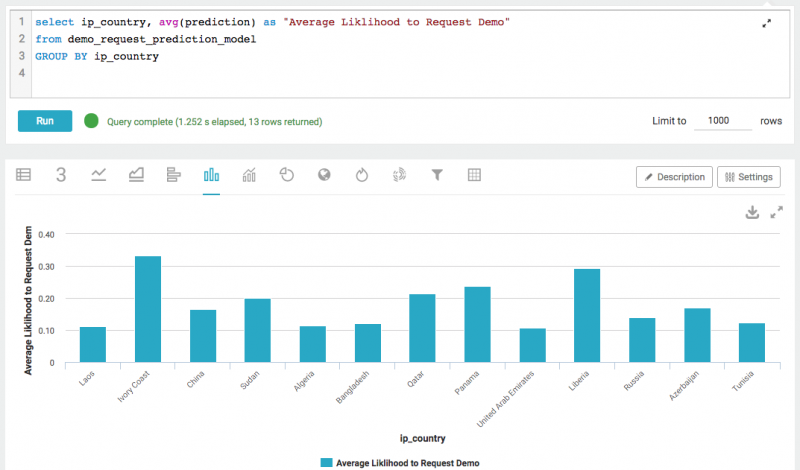 Fivetran, much like FlyData and RJMetrics, funnels all of the data from your databases and SaaS services into your Amazon Redshift or Google BigQuery database. It’s important to note the service’s pricing aren’t readily available online, though we’d expect their pricing model is similar to FlyData and RJMetrics. After you have your ETL software installed and ready to go, you’re pretty much finished building the software-side of your data warehouse — all that’s left is visualization. Chartio. 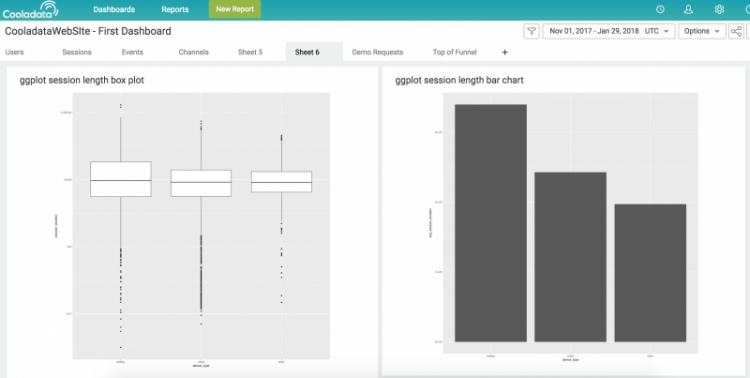 A business intelligence tool that generates visualizations in real-time. The service has a drag-and-drop interface that writes SQL queries for you, although its learning curve has been criticized in the past. Again, the costs of this service are dependant on the size of your solution, and can range anywhere between $500 and $2000 per month. Tableau. Tableau offers many of the same services as Chartio, but offers a user-based pricing model: the software costs $70 per user, per month. So if you have a team of ten people using Tableau, you will be spending around $700 per month. QlikView. Qlikview also offers pricing per user, starting at $25 per user, per month. This means that you’ll be paying upwards of $250 per month for a ten-person team. Total cost for software: taking a conservative median price for both ETL and visualization software, your projected costs will most likely be around $2000 per month, or $24,000 per year. Your software prices are bound to go up as time passes. Increased storage brings increased ETL usage and higher storage access prices, inflating the cost of your data warehouse per month. Pricing models are wildly unpredictable, depending entirely on the size of your storage, the amount of data you have going into your warehouse, and the size of your team. Now that you have your software and hardware ready to go, you will need a support and visualization team ready to run your new business intelligence solution. For your database support team, you will need a dedicated Systems Manager, Backend Developer, and a Software Engineer. These people will make sure that your data warehouse is running smoothly and that all data is manageable and secure. For the visualization team, you will need at least one Data Analyst, (although a Data Visualization specialist would be a plus). Below we’ve outlined job descriptions and conservative cost estimates associated with staffing a fully-operational data warehouse. The salary ranges were assessed using the median income of each respective position on payscale.com. Information Systems (IS) Manager. An IS Manager is required to oversee the team running your warehouse and keep all the systems in check. Expect to pay around $7000-10,000 per month for the services of a qualified IS Manager. Backend Developer. Backend developers are responsible for installing and maintaining all of your ETL software and making sure that it is working in tandem with your storage service. Backend developers often offer their services for around $6000-8000 per month. Database Architect (DBA): A DBA will determine the structural requirements of your data warehouse and propose the best solution for unifying all of your existing data sources into it. A qualified DBA will cost around $10,000-12,000 per month. Data Analyst: Your data analyst will be responsible for analyzing and visualizing your business intelligence in a way that will produce actionable insights. A data analyst will also run you about $5000-8000 per month. Total cost of human resources: in short, staffing can easily be the most expensive part of your data warehouse. 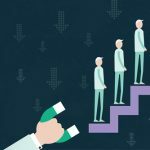 Assuming you only get one person for each position outlined above, your costs can be as high as $28,000-$38,000 a month, or roughly $432,000 a year. If your data warehouse grows in size (as it undoubtedly will), you will need more than one person for each role, easily doubling or tripling your costs in data warehouse maintenance. Now that we’ve covered all of the components necessary to build your data warehouse, let’s put the costs together. Assuming you want to build a data warehouse that will use, on average, one terabyte of storage and 100,000 queries per month, your total yearly cost for storage, software, and staff will be around $468,000. Keep in mind that these costs vary from business to business, from industry to industry, and sometimes from month to month. It is impossible to predict, with any certainty, what your costs will be at the end of the year. Though the software and technology surrounding data storage and unification are changing all the time, the options listed above should be safe bets in terms of their reliability and price. This article should be used more as an approximation rather than as a concrete roadmap. Building a data warehouse from scratch is no easy task. A large project such as this requires more than a year of setup, configuration, and optimization before it is ready for business intelligence purpose. It is no surprise then, that according to Gartner, over 60 percent of all big data projects fail to go past the experimentation stages and are subsequently abandoned. Sometimes messy problems have elegant solutions. 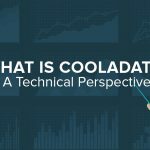 If you’re interested in buying instead of building your own data warehouse, Cooladata’s data unification and visualization services might help not only reduce the costs of building your own data warehouse, but also help you get your business intelligence off the ground instantly. Let us know in the comments what your experiences have been with the services and storage providers listed above. Have you been successful in launching a large data warehouse in the past?